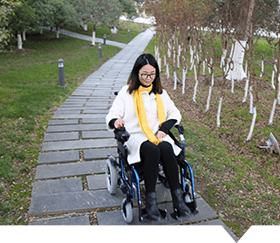 power wheelchair, motorized wheelchair, electric wheelchair | China Manufacturer electric wheelchair China Manufacturer Suzhou Wofftown Co.,Ltd. 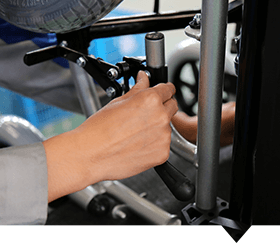 WFT is specialized in Electric Wheelchair, Folding Electric Wheelchair, Portable ElectricWheelchair, with experienced P&D team and over 30 production members make sure each item works efficiently and perfectly. All products are strictly according to ISO9001:2000, with 100% product inspection before delivery. Every power wheelchair has to be tested by a 10 degree to 15 degrees lope before they leave factory. Each motor has to pass the fatigue test. 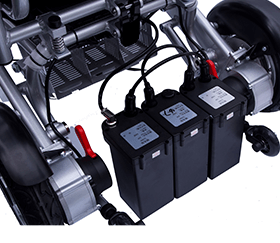 Motor noise is no greater than 60 decibel and has achieved 3C, UL testing and certification. 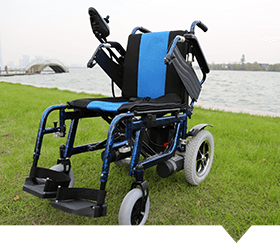 The WFT folding type mobility products folds and unfolds in second with a push of a button. It is very compact for fitting into a smaller car trunk.